You make it a-hurt so good"
THAT terrible wonderful thing is a FOAM ROLLER. 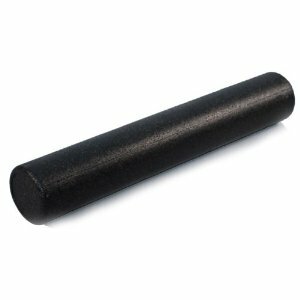 Last week I sent out a Tweet about my ITB pain and I was immediately inundated with responses that all pretty much said I couldn't LIVE without a foam roller. Our local sporting goods store had ONE left. (Apparently I'm not the only masochist in town.) I was WARNED ahead of time that it would be painful, but I figured everyone else was just being a wimp overly sensitive. It took me about EIGHT tries to get anywhere near my knee. By the third pass I was broken out in a sweat. I apologize for thinking everyone was a wimp. OUCH it hurts! I've been rolling twice a day since Saturday. Thankfully its not nearly as painful as it was the first day. Now it just hurts... in a good way. Along with the rolling, I have also been icing, resting, and yesterday I initiated a new form of torture healing. I had my very first SPORTS MASSAGE. Turns out I am one big lopsided, tight mess. I spent an hour being massaged, slapped, punched (pretty sure thats what she was doing to my calf muscles). At one point I think there was a wooden spoon involved. Not sure. I went for a short run yesterday morning and am happy to say I didn't have ANY knee pain and only slight hip soreness. As long as I stay pain free,I plan to go for 10 miles tomorrow and 20 miles on Tuesday. Additionally, I ordered some kinesio tape which HOPEFULLY I can figure out how to apply. 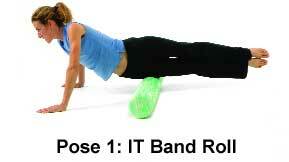 Have YOU used a foam rollers,kinesio tape or sports massages?